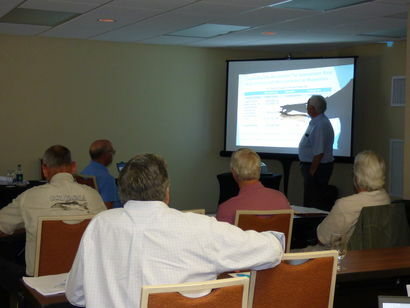 The Captiva Erosion Prevention District's board continued to discuss the proposed apportionment methodology for the island's 2020-2021 beach renourishment project at its regular meeting. On March 11, consultants and economists Drs. William Stronge and Gary Jackson presented the revised assessment numbers for the project based on changes requested by the board. Some included extending the single-family recreational rate to multi-family with less than 10 units and providing a lower recreational rate to homesteaded single-family, multi-family with less than 10 and condos. Stronge noted that institutional properties fall under the same recreational assessment. "All receive the same rate as single-family residential," he said. They explained that the changes impact the tentative assessment base by increasing the revenue by about $1.34 million, while also decreasing it by $663,302 - an overall net gain of $676,036. "This puts the two together to give you the revenue impact," Stronge said. The consultants also presented the board with alternative approaches to the storm assessments for Sunset Captiva in The Village zone, which has stemmed from debate over a Gulf-front common parcel. They proposed plans based on an ad valorem assessment style and benefit-based assessment style.